Most patients experience back or neck pain while sitting or standing, and lie down to relieve their pain. Traditional MRIs examine patients while lying down…in the position least likely to show the source of their pain. At Spine Nevada we use a Stress Test MRI to examine the spine in both supine (lying down) and while bearing weight (sitting or standing). This allows doctors to observe how a patient’s bodyweight applies pressure to the injured discs, pinching the nerves and causing pain. The unique Esaote Tiltable MRI obtains images in both the traditional horizontal position and tilts to an upright position during the same examination. The Stress Test MRI explains why patients hurt standing up, but feel relief lying down, and why conventional MRI exams may fail to reveal the problem. The Stress Test MRI used to examine the lumbar spine visualizes the anatomy in both supine and weight-bearing positions, and shows increased pressure applied to the spine while standing. 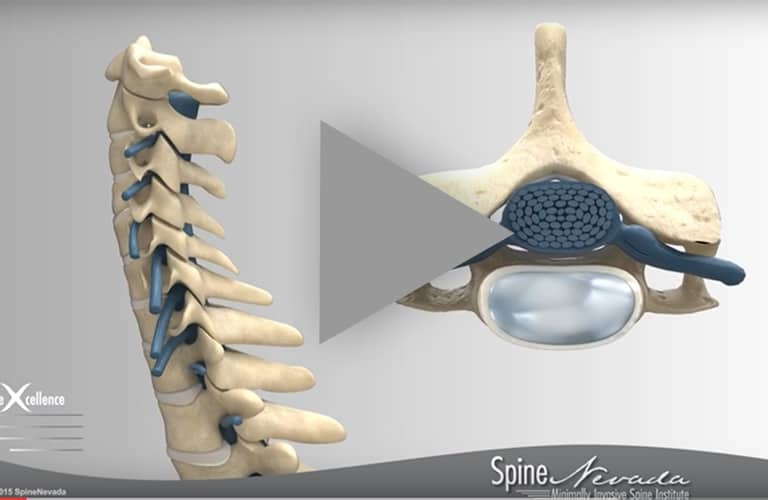 Stresses on the discs are minimal when a patient is lying down during traditional supine MRI examination, and may only show a slight disc-bulge or nothing at all – and no pain. When the table is tilted vertically, bodyweight compresses the disc causing the central disc material to protrude (or herniate), pinching the nerve root and producing pain. Supine images frequently fail to document disc herniation or nerve-root compression, while MRIs taken in weight-bearing show the source of the patient’s pain. 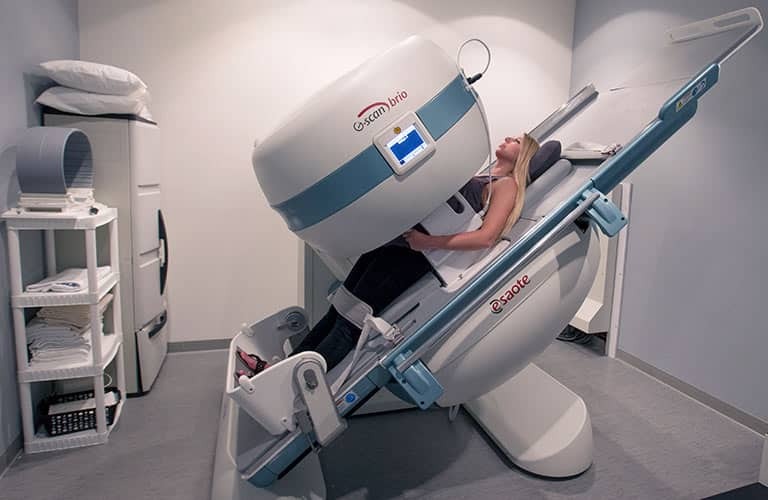 A Stress Test MRI helps doctors at Spine Nevada diagnose and understand positional symptoms, which often affect the patient only when sitting or standing. While patients may experience relief while lying down…pain, numbness or weakness typically increase as the patient moves into an upright or weight-bearing position. 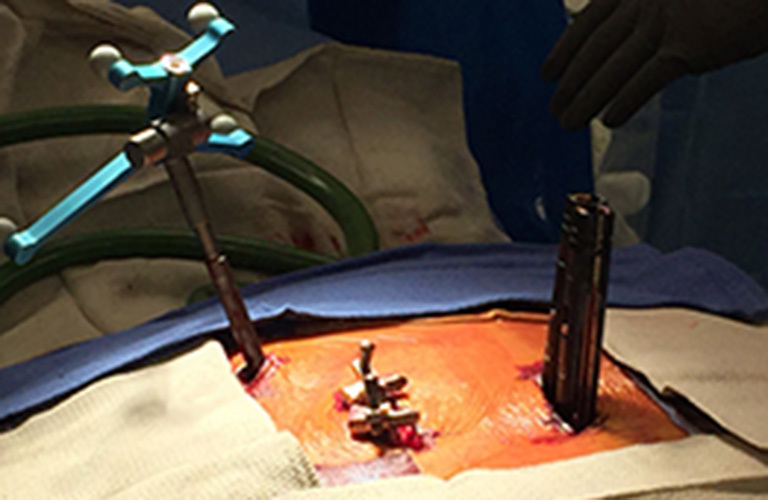 Diagnostic, weight-bearing images can reveal pinched nerves or injured discs that explain a patient’s symptoms, and which may not be seen in traditional supine images. In fact, conventional supine MRIs can miss thirty percent of spinal injuries. If you experience more pain or numbness when you are standing or sitting, insist on a Stress Test MRI today. It’s your MRI – don’t take it lying down.